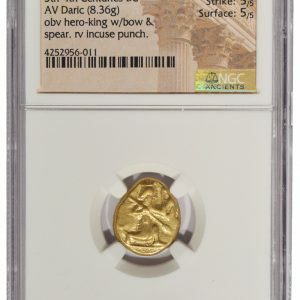 Here is a lovely and very interesting ancient gold coin. 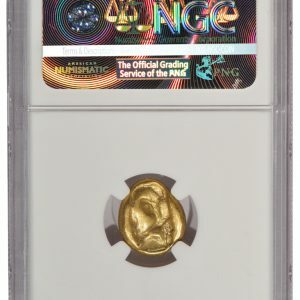 This coin is from the Persian Empire from the period circa 450 to 330 BC. These were issued and used as a principal gold trade coin of the era; until Persia was overtaken by Alexander the Great. These are crude-looking, but this particular specimen is more attractive than average. 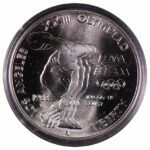 The archer is clear on the obverse and well centered. The surfaces, as mentioned on the holder, are quite pleasing.